Buying and selling rights to books in the dynamic global publishing arena. This month our columnist dives head-first into the dynamic publishing practice of buying and selling rights in the international arena where risk needs to be balanced against reward. Robinson outlines the incredible journey of Babylon Berlin, bought by Dingwall-based Sandstone Press from a German publisher, as a stellar example of how Scottish independent publishing is truly international in ethos and ambition. It’s October 2014 and Robert Davidson, publisher at Sandstone Press, is at the Frankfurt Book Fair when a German publisher asks him whether he’d be interested in buying a book from them. Actually, adds the woman from Kiepenheuer & Witsch, it’s a series. 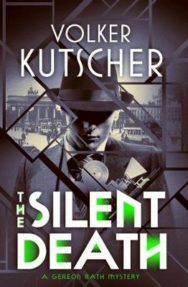 The first four are already published in Germany: not best-sellers, but doing OK. They’re about a detective called Gereon Rath, and when the series starts, he is working undercover in 1929 Berlin. There will probably be another five, moving forward year by year towards the Second World War but stopping in 1939. Oh, and there’s talk of a series on German TV. Interested? This, in essence, is what the world of rights is all about. Buy the English translation rights to Volker Kutscher’s series about Gereon Rath, and Sandstone Press can not only publish it in the UK but sell on those rights to America or Australia. But it’s an expensive business. 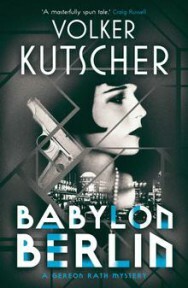 Babylon Berlin, the first in Kutscher’s series, is over 500 pages long, so would cost at least £14,000 to translate. Margins are tight, and Sandstone is not a multinational with bottomless pockets but a small, albeit ambitious, publisher in Dingwall. Also, talk about TV deals is usually just that: talk. And Davidson doesn’t speak or read German. So, one more time: interested or not? Me, I wouldn’t have been and here’s why. First, because I’d have to assume that all of those deep-pocketed multinationals had fallen asleep on the job. Every one of them – and what are the odds of that? Second, because I’ve already read a series like that in English: it’s by Edinburgh-born writer Philip Kerr, who started writing his hugely popular Bernie Gunther series back in 1989 with March Violets, has written 12 of them and hasn’t stopped. When it comes to fundamentally decent detectives trying to steer by their own moral compass through the Third Reich, in other words, there’s already one well-established fictional cop on the beat. And – reason No 3 – possibly with his own TV series lined up too: in April, the Sunday Herald claimed that HBO and Playtime, Tom Hanks’s production company, were working on a Bernie Gunther TV series. This, actor Woody Harrelson, has said, is the only role that would lure him back to the small screen. Davidson, however, is made of gutsier stuff than me. Where I see only risk, he saw only opportunity. Kutscher has an outstanding track record as a writer in Germany, he says: his books sell, he makes a good living. Then there’s the question of authenticity: wasn’t it fascinating that here was a German writer exploring the darkest recesses of German history? Didn’t that give it an extra edge? Wouldn’t the background of Weimar’s high hedonism add to the appeal of the series? Didn’t we all love Cabaret? Beyond all of that, if Sandstone was ever to become the kind of company he envisioned – broad-based, international, independent and successful but one which just happened to be located on the inner Moray Firth – could it afford NOT to buy Babylon Berlin? But what, you might be wondering, about that talk of an accompanying TV series back in 2014? Did it melt away, the way it usually does? Was it all just hot air and hype? Interestingly, no. Babylon Berlin, which will be shown on Sky Atlantic in the autumn, will be the most expensive German television series ever made (40 million euros), with 250 speaking roles and 5,000 extras. Director Tom Tykwer (Run, Lola, Run, Cloud Atlas) wants to open up the action to the strife-ridden city – the streets, not just the interiors, which is mostly what we got in Cabaret – ‘and show how ordinary people like you or me could become fascists’. And here’s another culturally significant change that might help: in Britain and the US, ordinary people like you or me now don’t mind watching well-made foreign TV. Last year, when Channel 4 screened Deutschland 83, it attracted 2.5 million viewers, making it the channel’s most popular foreign language TV series ever. The year before, it had been the first German series shown on a US network. Put the TV series for Babylon Berlin in the frame, and even I can see that I might have called it wrong had it been up to me back in 2015 – when Bob Davidson decided he was going to push the boat out and buy the book – and accept that he, in fact, got it right. Certainly, he’s been determined enough to make sure he got everything else right, from a ‘brilliant’ translation by Glaswegian Niall Sellar (with financial help from the Goethe Institute and XpoNorth) to ‘one of the best book jackets we’ve ever done’. At this stage, I have yet to read Babylon Berlin, so have no idea how well it stacks up against Kerr’s Bernie Gunther novels. In a sense, it doesn’t matter. All I am looking at here is the strange balance between dreams and risk that buying rights involves. Sometimes there mightn’t seem to be that much risk at all, but usually that is only because the publisher has already taken it and the book has gone on to win a prize. 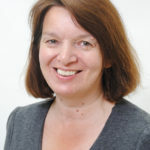 This – or even a shortlisting – makes selling rights a lot easier: after Daniel Shand’s Fallow won the Betty Trask Award in June, for example, Davidson had no problem selling rights to the US and Australia. 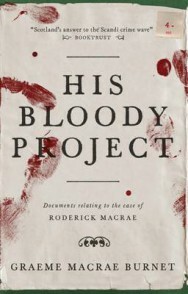 A year ago, there was an even more spectacular example after the Man Booker longlisting of Graeme Macrae Burnet’s His Bloody Project, when Saraband publisher Sara Hunt was inundated with rights offers from all over the world. They’re now up to 25 deals, she tells me, more are in the pipeline and there will undoubtedly be still more when his third novel, The Accident on the A35, comes out in October. Suppose you wanted to encourage that, or to make sure that rights for all kinds of books by Scottish writers or from Scottish publishers are sold throughout the world. How would you even begin to do it? For the answer, you need to realise how books are bought and sold across boundaries, and for that you need to talk to people who sell rights. They’ll tell you that the only way to do it is to know the mind, tastes, and dreams of the buyer, and for that you need to meet them and talk to them face to face and find out if you’ve got anything they’d want, and if you haven’t, discover what they’re looking for. Talk to Scottish publishing’s rights experts and they’ll all agree that there’s one project that does just that, bringing international editorial managers and agents to Scotland so they can find out just what our publishers have to offer. 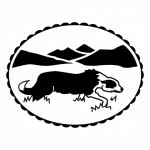 They’ll be coming again next week, nine international publishers (a different cohort each year) invited to Scotland via Publishing Scotland’s International Fellowship programme. Often, they will go back with deals in their pockets – if not now, then later. Last August, for example, Stephen Morrison, publisher at Picador USA, was one of the 2016 Fellows. They all went to Inverness, where Bob Davidson told them about the books he’d got on his list and his hopes for them. Morrison got back in touch in June about Babylon Berlin. Yes, he told Bob Davidson, he’d take the American rights. Definitely. Publishing is a risk, always will be. If Babylon Berlin fails, Davidson told me, it would be a ‘significant setback’ for Sandstone. So far, though, it’s selling well, and I, for one, wouldn’t bet against him. You can find out more about adapting Babylon Berlin for television in this recent article, ‘Nazis, Noir and Weimar Decadence: Babylon Berlin Recreates an Era for TV Detective Drama’, published by the Guardian.